Statistics show that over 30% of people break their resolutions within the first month. This can be really discouraging and can hinder your progress. Instead you should set attainable goals and build on them throughout the year. Once you get something simple done, take it up a level and keep going until you reach the larger goal. Think about a time when a complete stranger made you smile. There probably was not a grand gesture involved, it may have been as simple as them smiling at you first. Impacting others’ days and even lives can be that simple. Take time to think of others this year, and watch how much you will change. If you haven’t noticed, one goal of TBYT is to remind others, and ourselves, of the power of words. The words that we speak have the power of life or death. The impact that they have is up to us. Our words can either help or hurt others. This is true both online and in the real world. Take the time to think before you speak and type. How will your words define you? 4. There’s only one you! Conforming can be the easy thing to do, but that will hinder you from reaching your full potential. Everyone is unique and we forget that so often. By trying to be like someone else you’re leaving an empty space, and only can you fill that void. Each person has something incredible to add to the world just by simply being themselves. This year figure out who that is, and work on embracing it. Not every day is easy. Sometimes bad things happen. Sometimes things that are out of our control make our lives a million times harder than we could have ever imagined. These times make it hard to even get out of bed, let alone live our lives. If this happens to you, don’t try to carry everything yourself. Sometimes the strongest thing that you can do is let others share the weight. Your friends and family are there to help you through tough times. Lean on them. Let them help carry you through. If you feel like you don’t have anyone like that in your life, we’re here, and we’re just an email away. 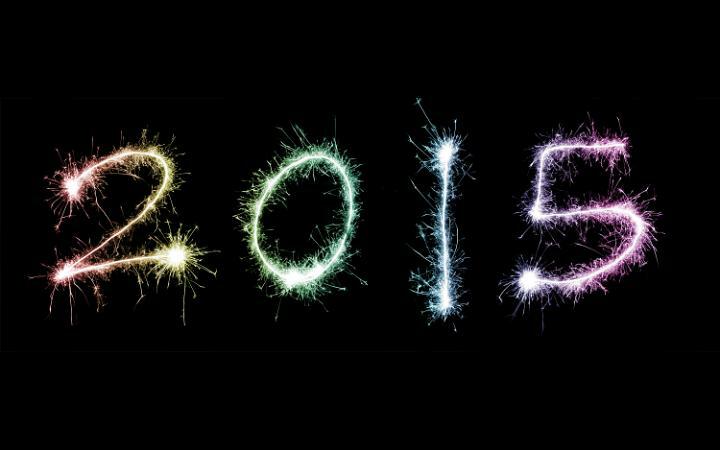 We’re wishing you a happy and healthy 2015. Remember, to step back and enjoy the beautiful adventure that you’re on. We’re rooting for you this year!